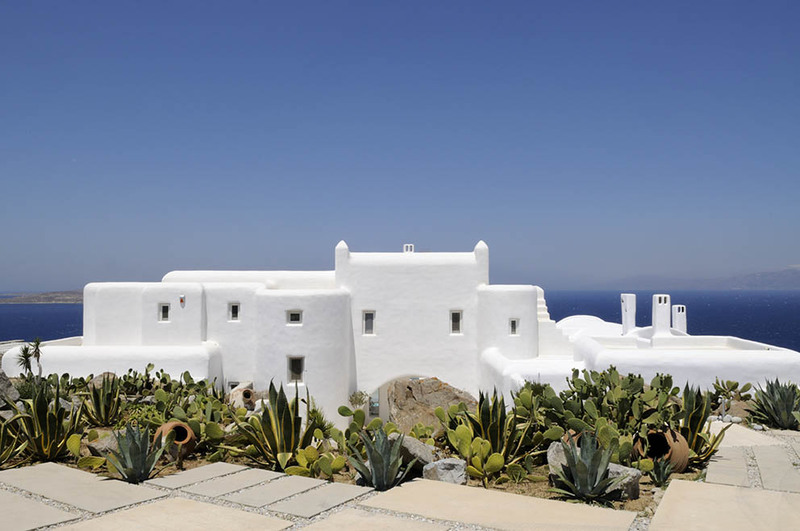 The imposing villa “Striking Blue” is situated in a preferential location in the Aleomandra area where guests may enjoy the spectacular sunsets and views across the endless light blue colour of the Aegean. 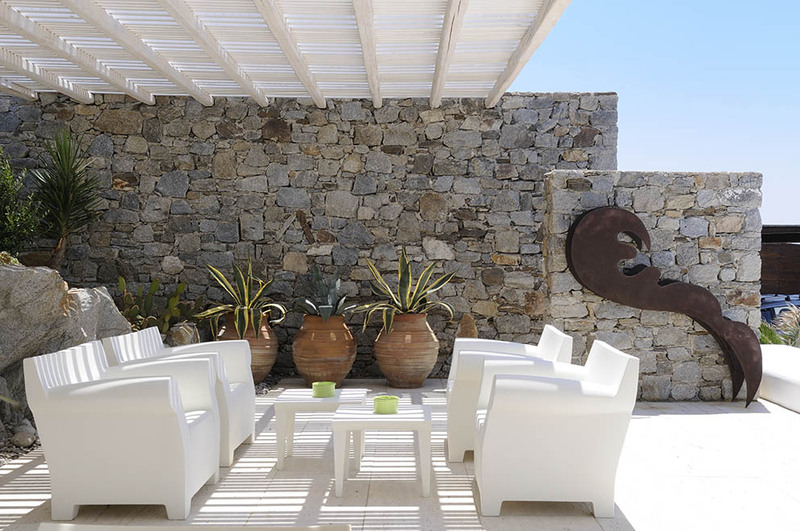 It is considered to be one of the most sensational villas in the island of Mykonos, relishing the energy which comes from the nearby ancient island of Delos. 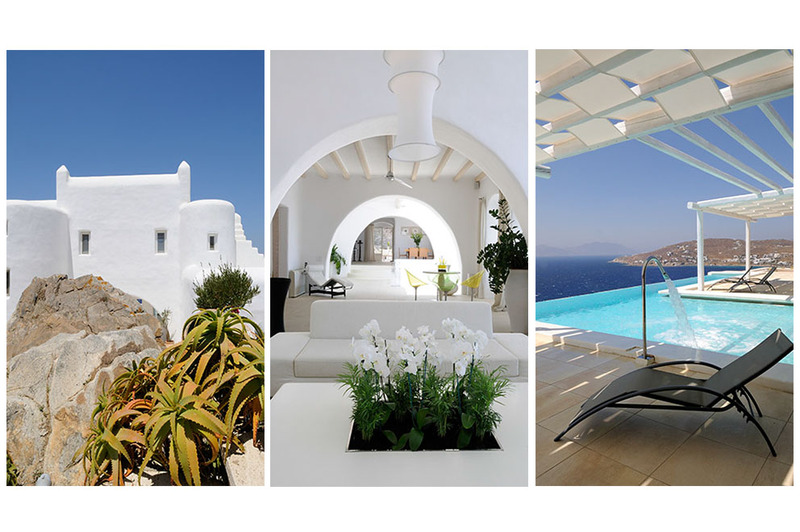 It is built in the traditional Cycladic architecture and is in perfect harmony with its minimal furniture, providing a tranquil and unique ambience. 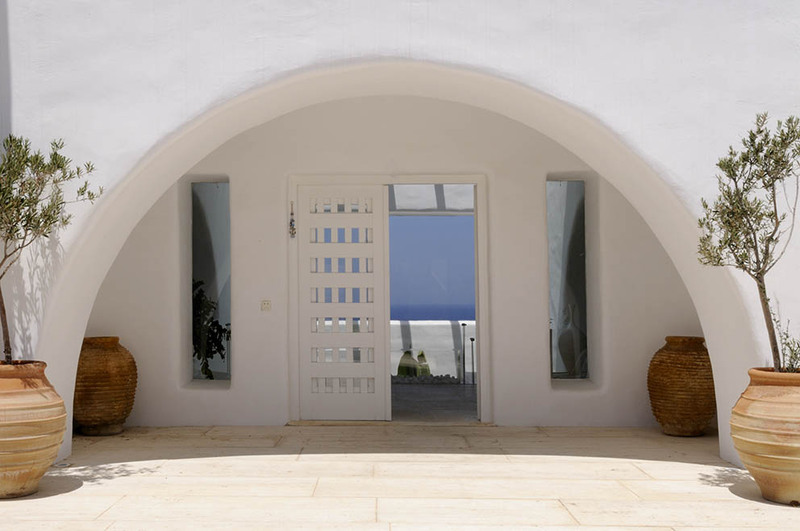 The impressive entrance is where an exceptional atrium gives guests a first impression of the uniqueness of this villa. 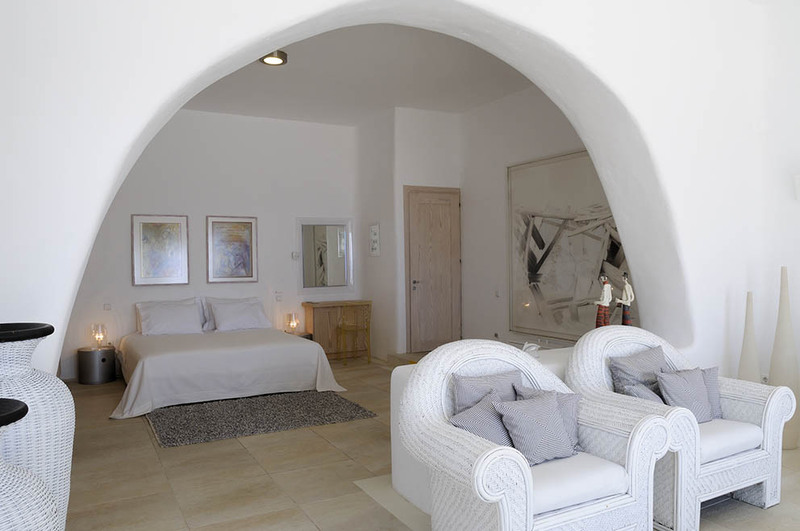 There is a striking reception area with traditional arches. 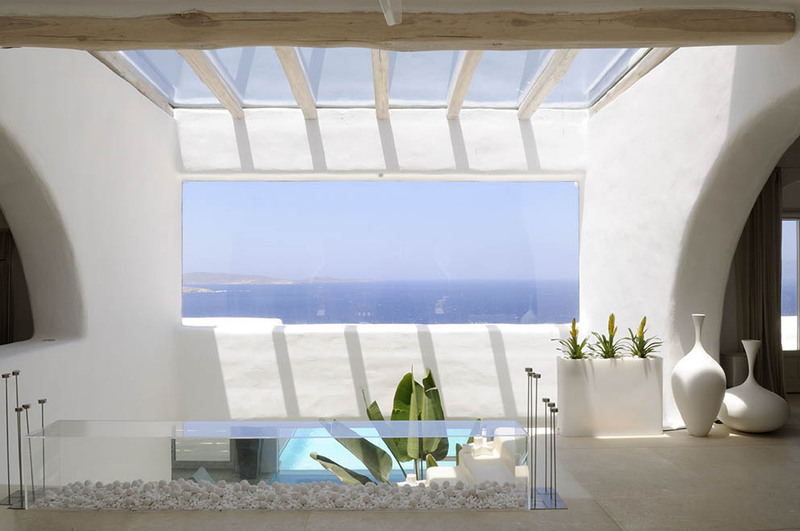 Ample glass partitions allow unobstructed views of the sea and the colours of the enchanting sunsets. 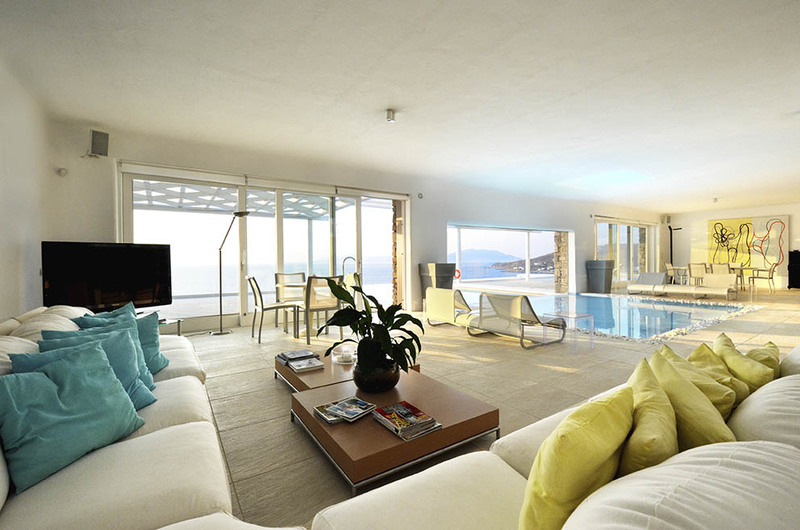 The stately dining room with the classically designed furniture stands on an elevated level. 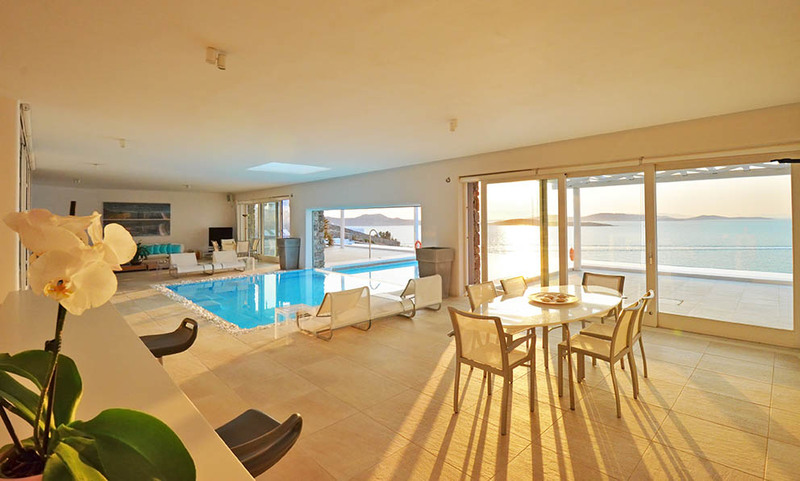 Down an elegant staircase, there is a marvellous interior Jacuzzi – pool between two large sitting rooms with a pool–bar where guests may enjoy the view offered through the large glass partitions. 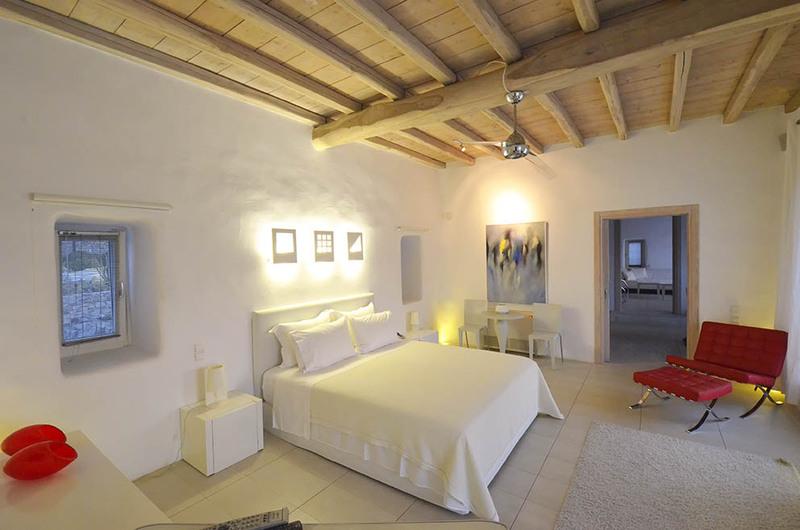 Villa “Striking Blue” has six en suite exquisitely decorated bedrooms offering every comfort. The grounds of the villa are equally striking. 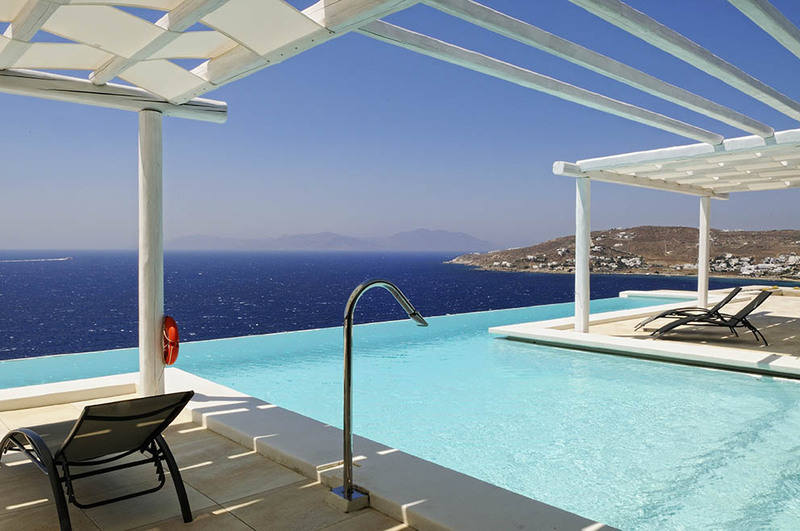 The luxurious infinity pool dominates; ample seating and dining areas are shaded by pergolas where guests may relax all day long while enjoying the magnificent views across the Aegean. 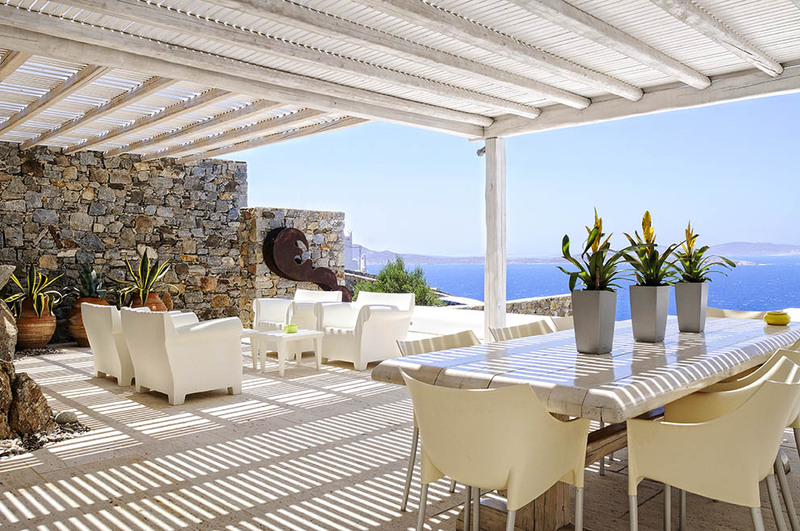 The commanding location in conjunction with the comforts offered by this villa as well as the easy access to Mykonos Town ranks it among the greatest in demand properties on the island. 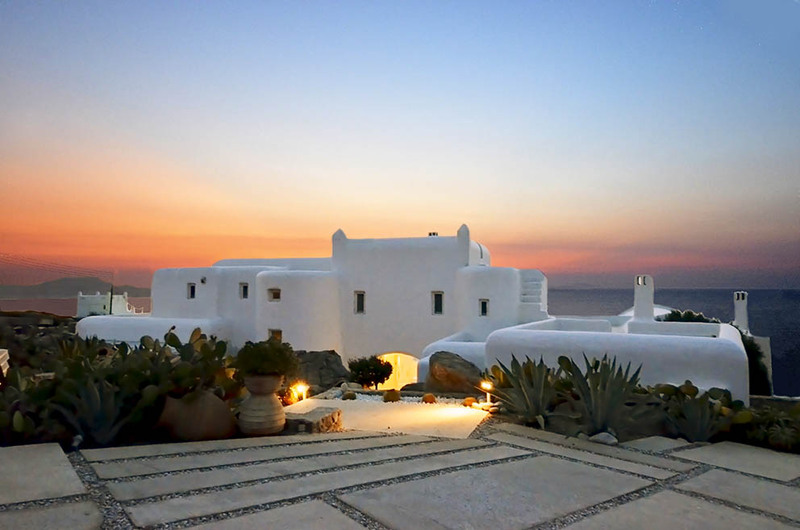 This luxurious villa offers absolute privacy and has the privilege of having entertained many celebrities from all over the world.